Discussion in 'Tank Builds' started by Gabe&Brandi, Jun 16, 2018. Better late than never! Here’s the non-minimalist aquascape. Brandi wanted a bunch of caves for the fish to swim in and out of. Looks ok. I also spent some time today building the switchboard mount! Next step is To figure out the lighting. One side of the tank has quite the reflection and the fish are chasing their mirrored image. Any suggestions? I wouldn't worry about the reflections. I actually intentionally use mirrors when I see aggression because they focus it more on things with a similar body shape and the mirror keeps their aggression focused on inanimate objects instead being aggressive against each other. Ya agreed, a lot of fish, especially territorial ones, do that a lot when first introduced to a tank. Dont think they can actually see their reflection, unless you use a mirror. They are more likely trying to challenge the boundaries of their new home. Give them time, they'll adapt. 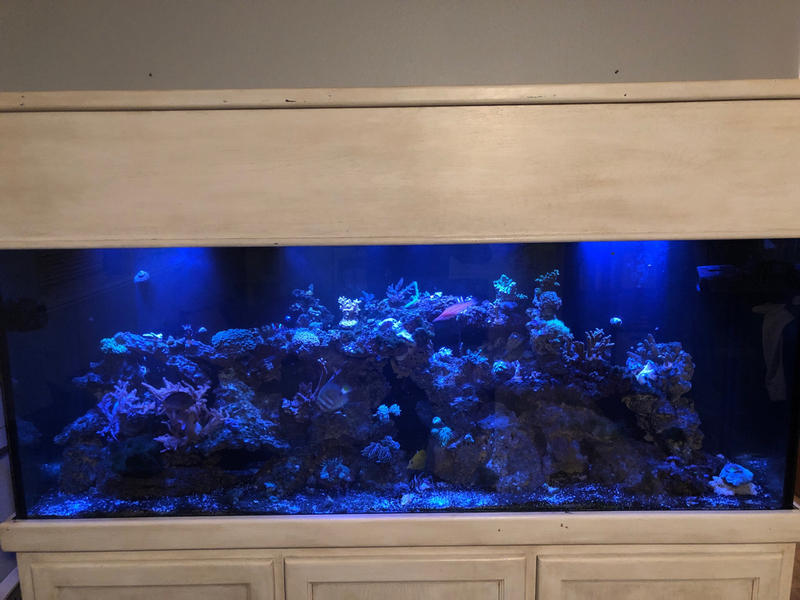 Tank is coming along, although you may want to consider taking up to about half that rock out, once you start growing corals or anything on those it looks like it will get real crowded fast. I think everyone does the wall of rock the first time. 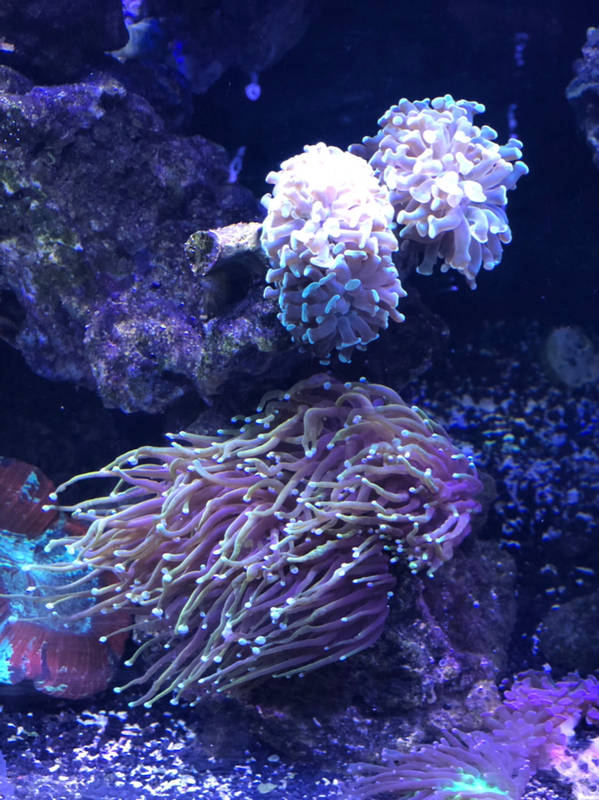 I know I did, but after the colonies start growing out, you will be looking for way to improve access in the tank, flow, and giving more space to grow, which means removing rock. Easier to do it now then later. That’s good to hear, I didn’t want them getting stressed out like Brandi does when she looks in the mirror! 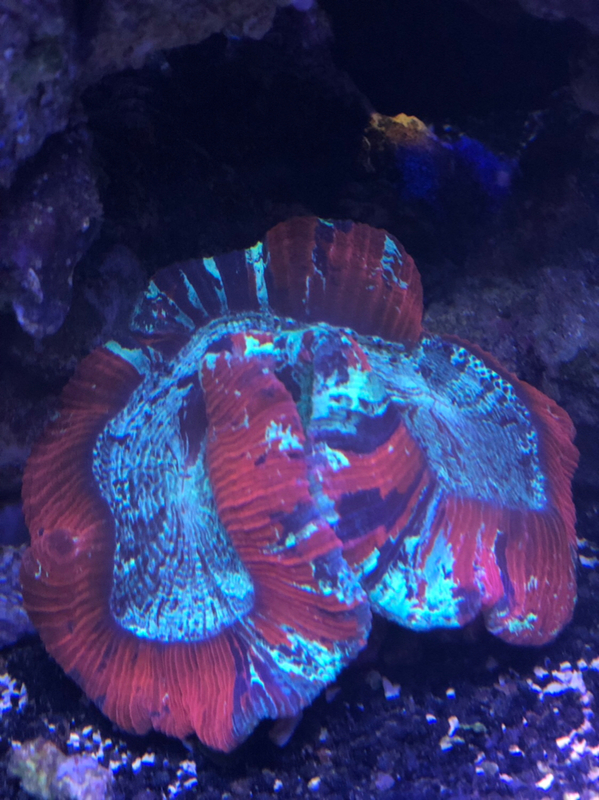 Echoing what synden said, I would consider taking out some of the rock assuming you will be growing coral in the tank. 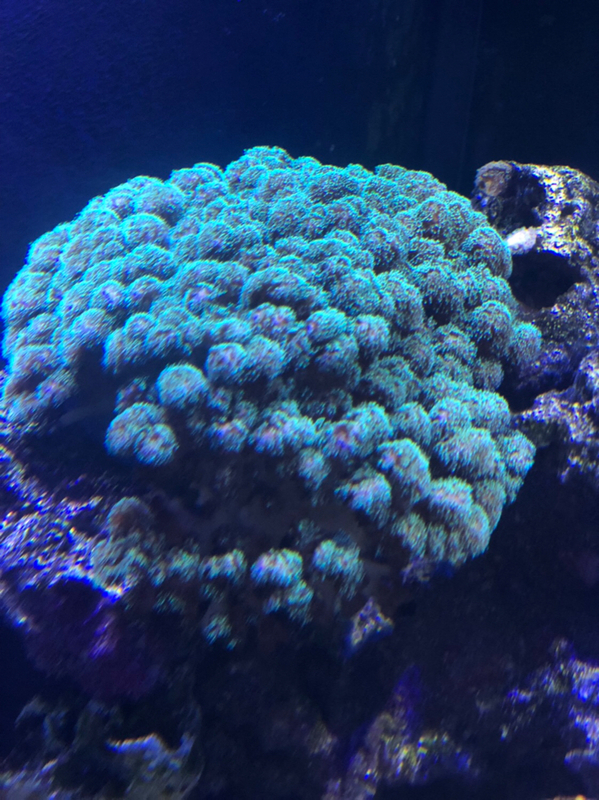 It’s hard to imagine running out of space for coral to grow at this point, but it will happen before you know it! 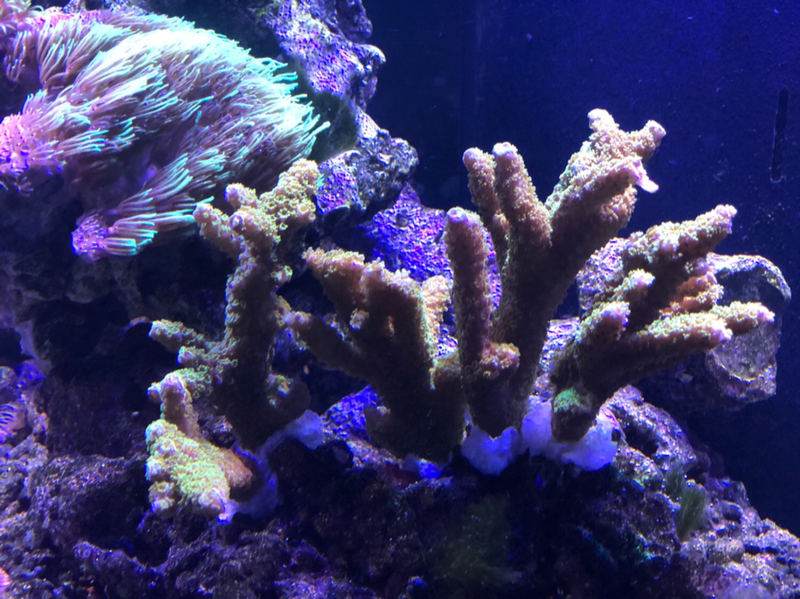 Check out the tank of the month thread on some of the national forums to see what kind of rock base they started out with. Well it’s been a minute since I’ve posted but figured it’s time for a quick update and stock list! 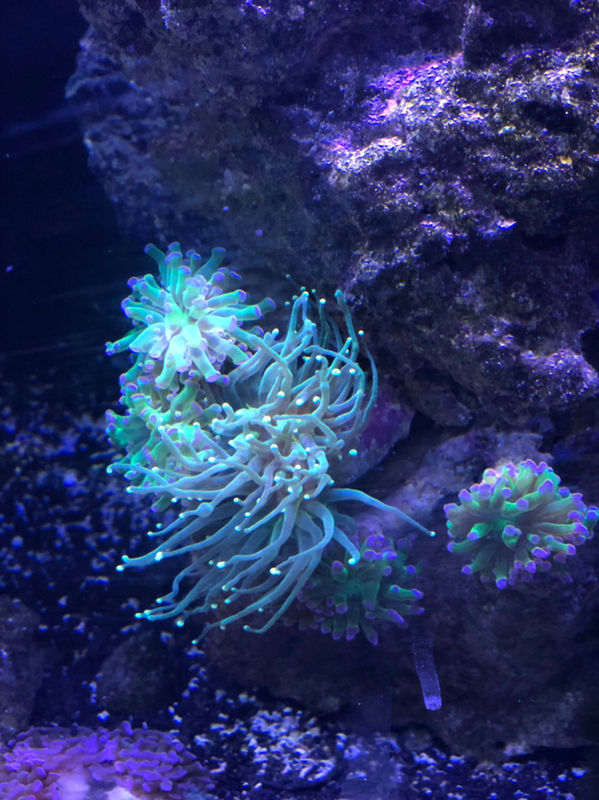 Currently have 4 AIs set up for lighting and am planning to add a T5 into the mix once I figure out the mounting situation. I believe I can mount the AIs on the canopy and put T5s on the sides (longways) after adding some fans into the side for ventilation. Main hold up is that my AC went out and am hesitant to add more heat before getting that fixed, fishies aren’t happy with 79 degrees and the T5s would be a recipe for disaster. 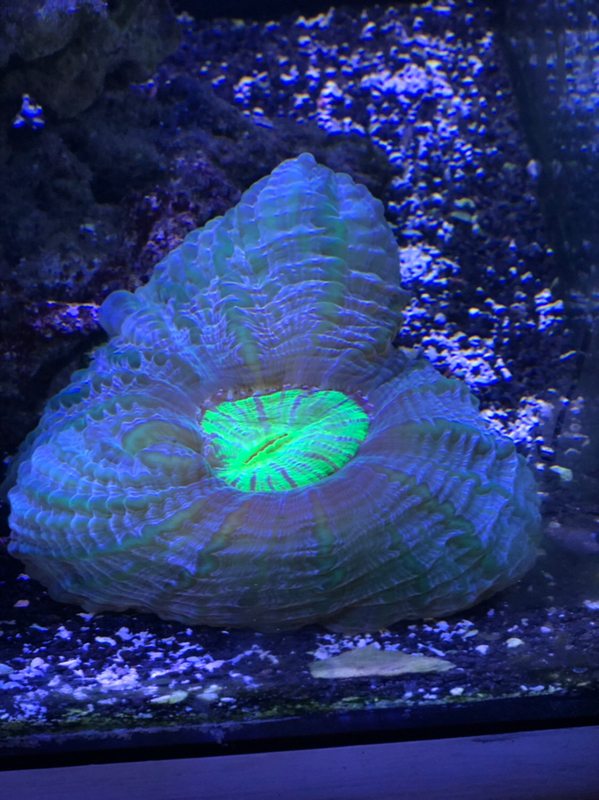 Also loving the nice brown algae throughout the tank...can’t wait for that to go! 79 isn't an issue for fish or corals unless they are colder water species like the blue spot jawfish. 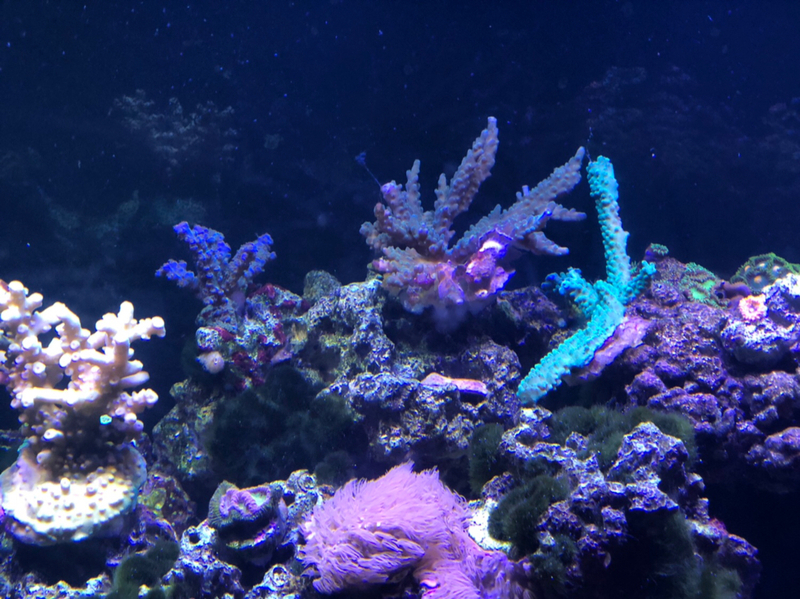 Most tropical fish and corals have improved growth and metabolism up until about 82 and won't be stressed or damaged until temp rises above 84. A controller is the next addition, definitely makes life much easier from other threads! 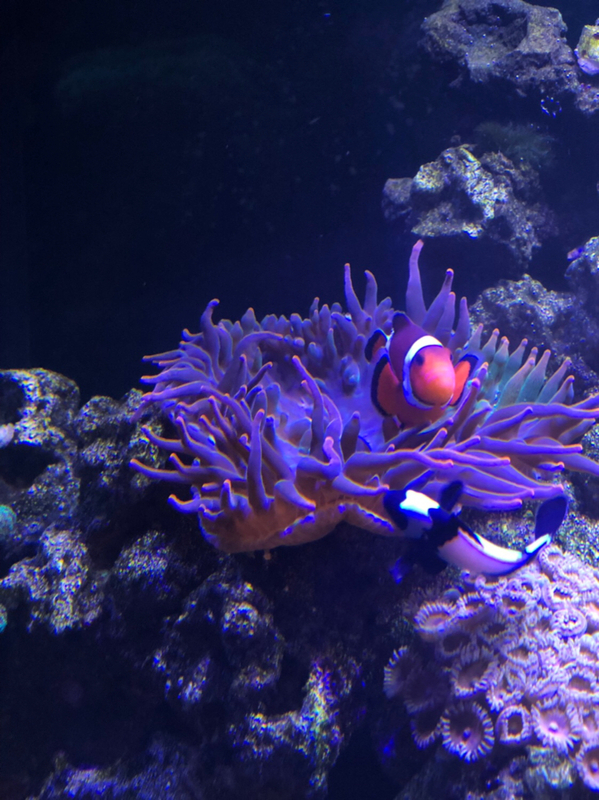 Just added a naso tang to the Q tank. After about 24 hours I’m seeing some larger white spotting. Doesn’t appear to be ich, more of a bacterial thing I’m guessing... here’s a pic. May also just be stress? Too early to tell, but there is a reasonable chance that it is ich and a small chance that it is velvet (velvet starts kinda like that and transitions more of a golden color after a couple days). I would definitely be treating chloroquine phosphate or cupramine for that as a precaution if it were my fish as soon as its eating okay if it gets larger or doesnt go away in a day or two. They tend to spot like that when stressed. Naso Tang in the Q tank, looking good! Also got down on the WWC live sale, ended up with just 8 new additions for an average of $10/ea including shipping! 10 bucks each with shipping?!?!? Now that’s a live sale! Potentially redoing the aquascape soon as space runs out! SRT43R, neil82 and SynDen like this.